Lou Richards, née Lucille Stone, grew up in Dorchester, where she was known as an independent tomboy who loved sports. Her fiancé left to fight in the war, and Richards tried out for a spot on the new All-American Girls Professional Baseball League. She was the only one of her friends to get a train ticket to Chicago for spring training. The Boston Globe reports that Richards played for the Racine Belles and the South Bend Blue Sox as a shortstop. “It was a special time in my life, although we all didn’t realize the historical significance of what we were doing,” Mrs. Richards told her grandson Sterling, who wrote a story about her for his Alabama high school newspaper. Richards was notified that her fiancé, a Marine, was killed in Iwo Jima. 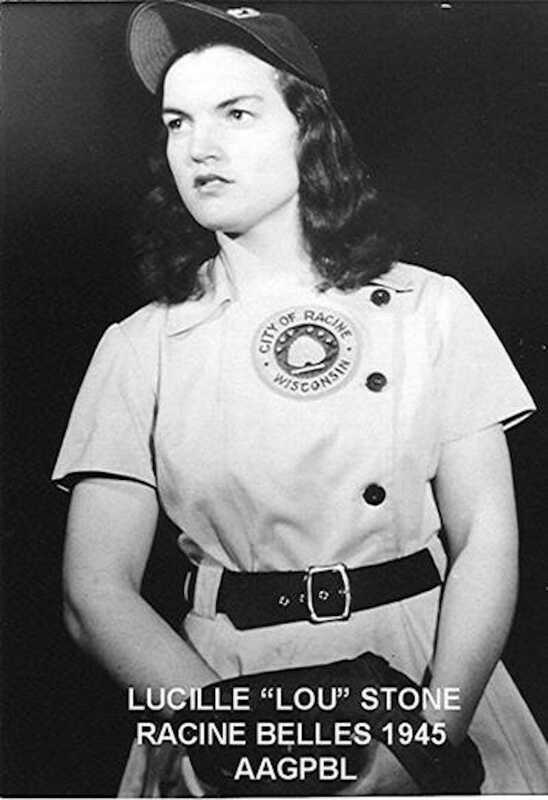 The shock caused her to leave the league, but she retained a lifelong love of baseball. She eventually met and married Joe “Buddy” Richards. They settled in Holbrook and had three children. Lou Richards drove the local school bus for decades, and also coached Little League for 25 years. Mrs. Richards long ago donated her Blue Sox baseball uniform to the Northern Indiana Historical Society in South Bend, an official repository for league artifacts. In 1988, the league was recognized by the National Baseball Hall of Fame with an exhibition in Cooperstown. “She was the salt of the earth. She was the rock in our family,” her son Jon said.